Both of these pieces are Black Friday finds. The top is from Old Navy. 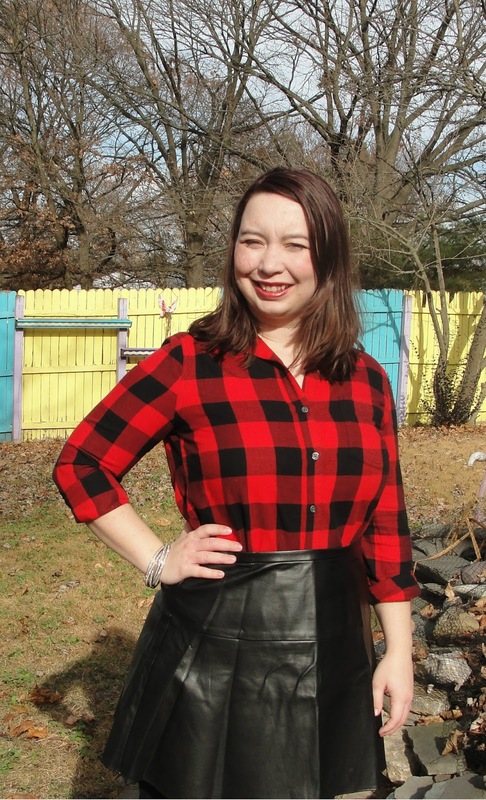 I got the skirt from ThredUp. 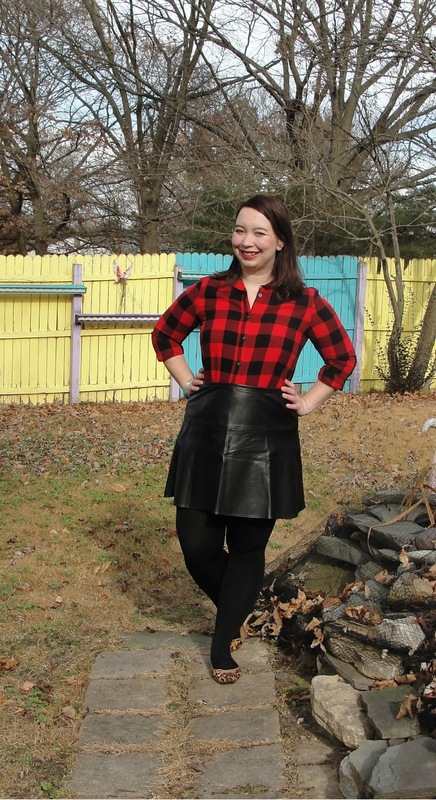 If you sign up for ThredUp you can get $10 to shop. I wore this to my business group. I thought it was a little festive but not over the top. 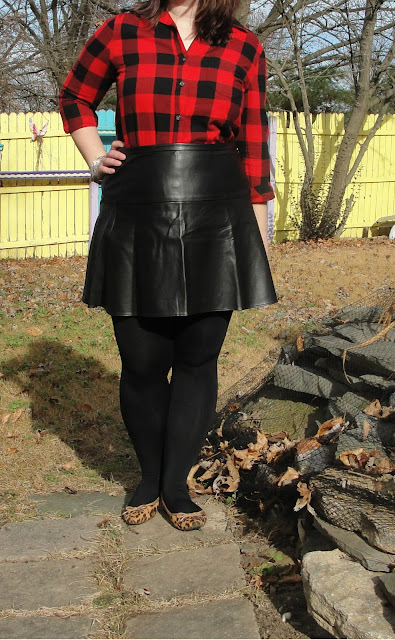 Love this edgy cool skirt! Such a great find from Thred UP. I really love this combo, babe! I have always loved buffalo plaid. So cool with the leather. That skirt was a great second hand find! Reminds me I should get my leather skirt out more! I love this combination! Perfect for winter! What wonderful looks! My fave is the floral sundress!